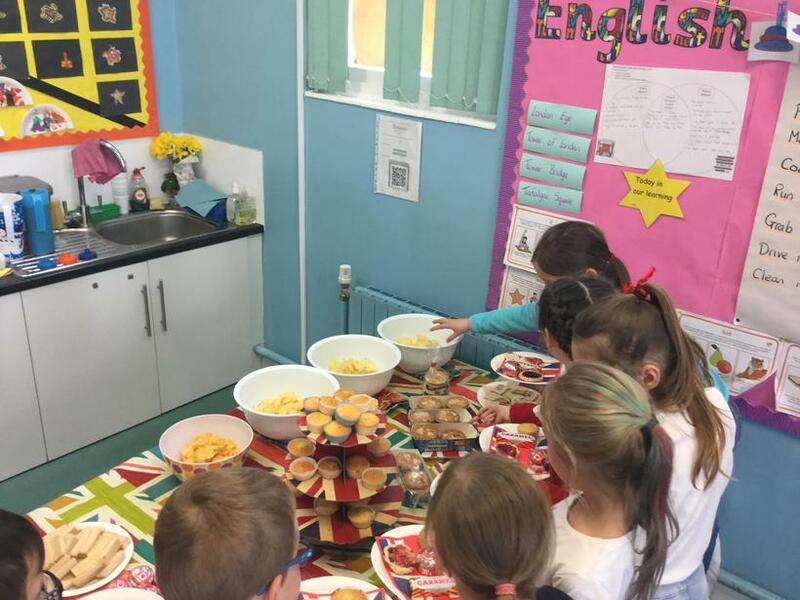 Year 2 enjoyed ending their topic with The Great British Tea Party. 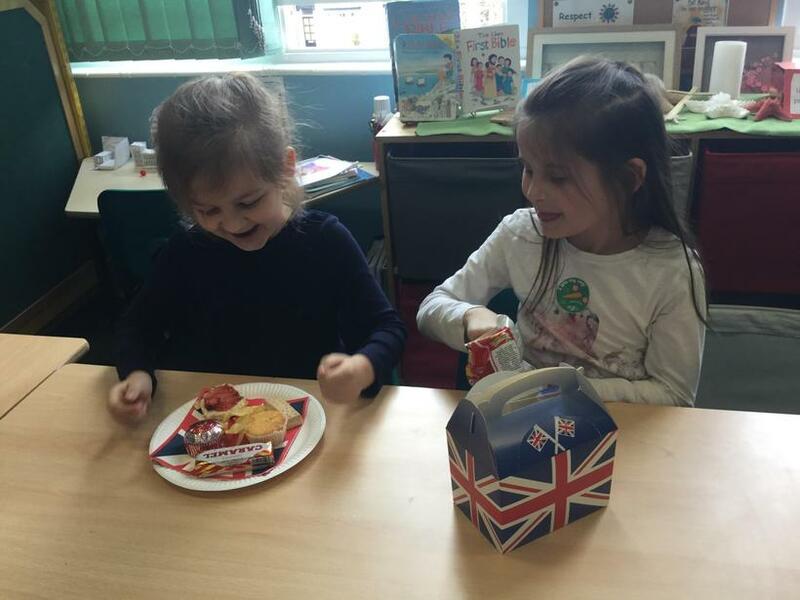 After learning about different places in Britain, as well as studying the history and customs of different areas, the children enjoyed sampling some of the foods (especially cakes!) 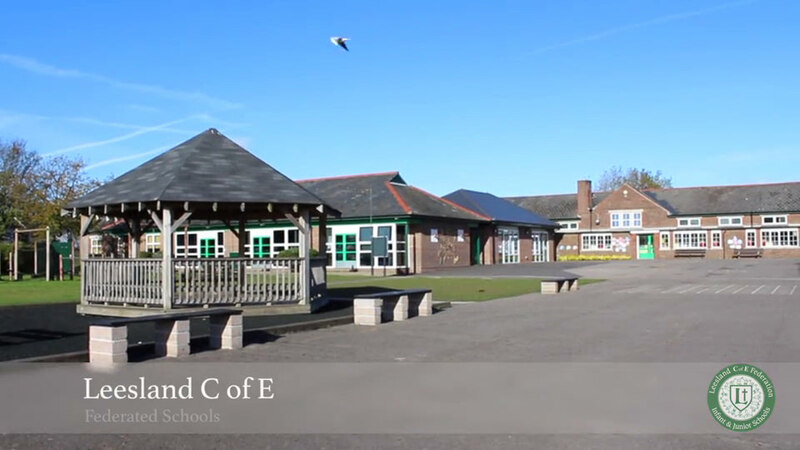 associated with England, Ireland, Scotland and Wales. 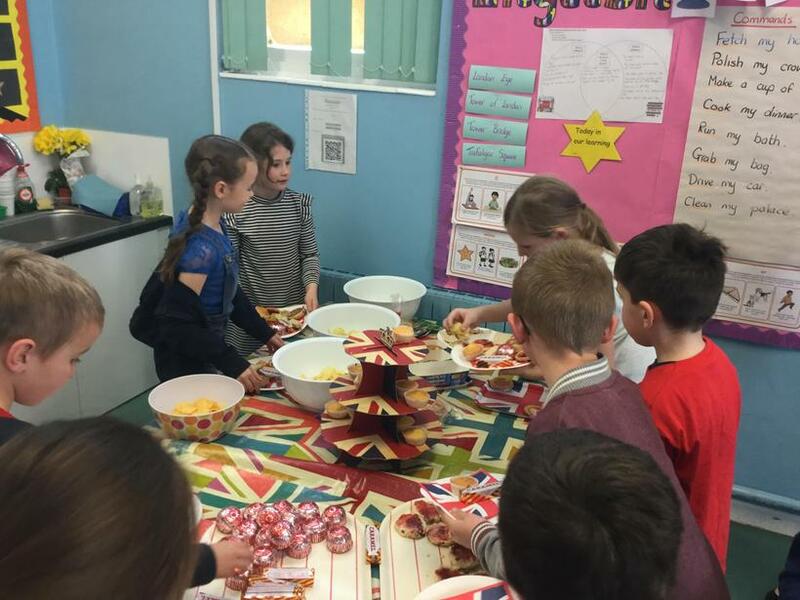 They tried a number of traditional foods, including: Welsh Cakes, Tunnocks Teacakes, Jam Tarts, Victoria Sponge, Shortbread and Potato Cakes. 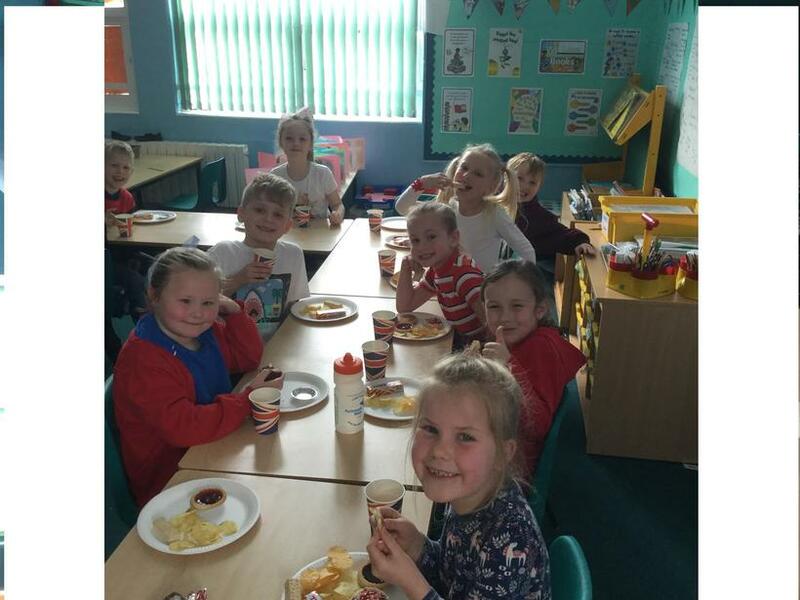 Children were invited to come to school dressed in red, white and blue.